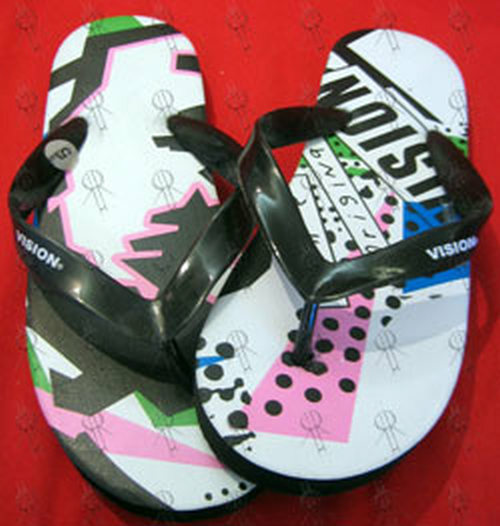 Thongs made of black rubber, with black, white, pink, green & blue print on top, “Vision: The Original” art. Black rubber toe-slips with white Vision title. Thongs come in original pad they were cut from. Come with bonus keyring cut from pad. Official vintage V.S.W. 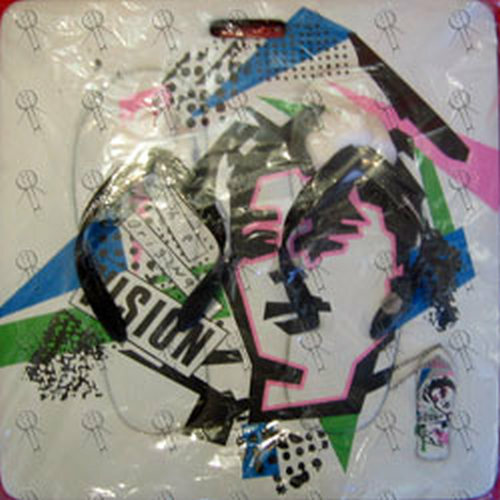 merchandise from the 80’s. All sizes are in U.S. measurements.